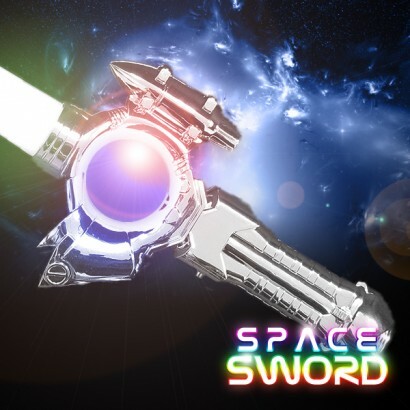 Packed with multi coloured LEDs that shine in an impressive light show along the blade of this futuristic sword, there's a colour morphing ball in the handle and super swishing sounds to complete the sci-fi effect making this flashing space sword a must for parties and events! 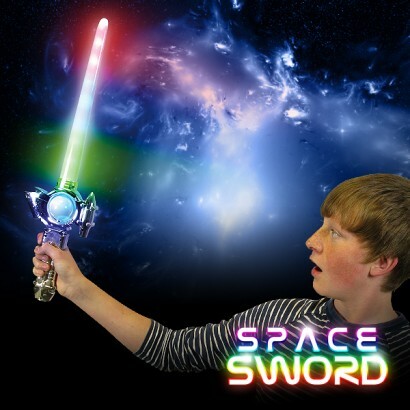 A top seller at fundraisers, space swords get noticed! 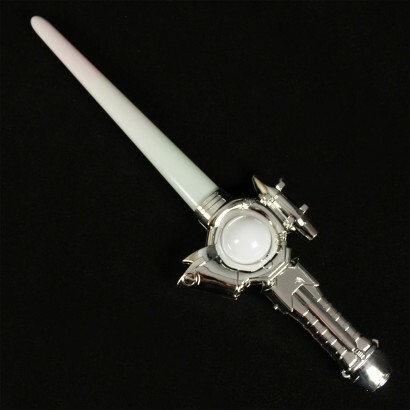 3 x AA batteries loaded and ready to go!